Catch Up On Laundry Fast! 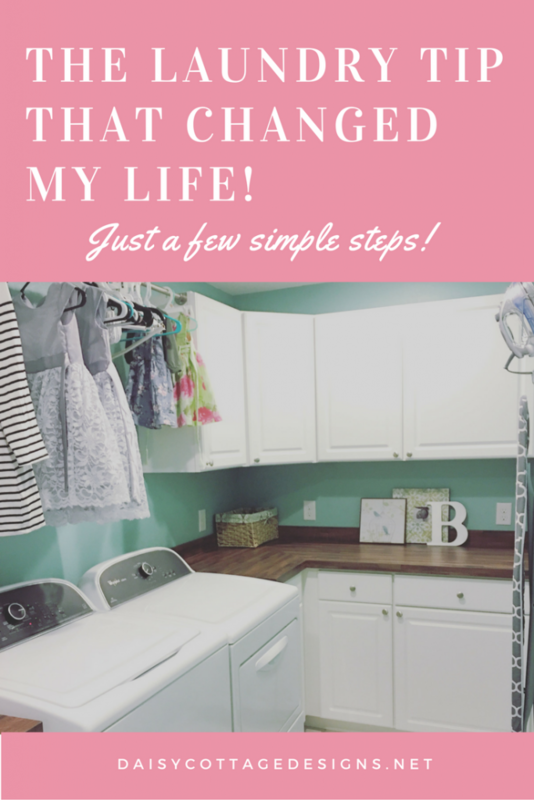 Do you ever find yourself wondering, how can I catch up on laundry? Up until recently, that’s a question I asked myself on a regular basis. It always felt like I was trying to climb Mt. Washmore (but let’s be honest, washing isn’t really the problem, right? It’s the folding and putting away that’s killer!) by trying some new and improved laundry system. The mountain of laundry seemed to grow on a daily basis and nobody wanted to tackle it. Let me explain my life as it was back then. First, I’d let laundry pile up as long as humanly possible. Once someone was telling me “I’m out of clean underwear” or “I need some whites done,” I’d gather up the laundry, sort it, and get to work. I’d make loads as huge as I possibly could without ruining my machine. 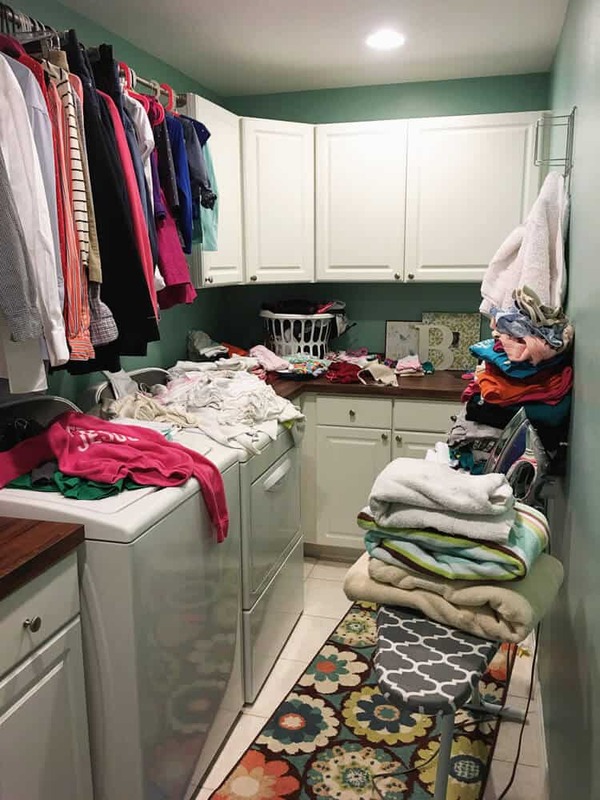 As each huge load came out, the clothes got stuck to the right of the washing machine and another load would go in – just as huge as the one before. I’d start folding the enormous pile of clean laundry, but inevitably, the baby would cry or someone would need help with a project. Regardless of my good intentions, the clean laundry rarely got folded and put away in one swoop. Clothes were constantly piling up on both ends, but I could never catch up on laundry! Would you take a look at that picture? This wasn’t even taken on a particularly bad day. With three kids and two adults who apparently feel the need to change clothes more than is actually necessary, the laundry situation was dire. But, I knew it needed to change. I needed to do whatever it took to catch up on laundry. So, here’s what I did. Are you ready for the one tip? Always do small loads of laundry. You’re probably thinking, she’s crazy. Doesn’t this blogger lady know that I’m up to my ears in laundry? I do, I do. Remember, I was there not too long ago. My rule of thumb is no more than 12-15 pieces of laundry per load. Let me explain why. Small loads are manageable. It’s easy to fold and put away 15 items of clothing. But, when you’ve got your machine stuffed to the max and you have to fold and put away 35 items at the end of a load, you might legitimately run out of time. Without meaning to, you’re creating a pileup on either side of the washing machine. Ok – small loads. But you’re probably thinking, I’m already behind – how does this help me? Here’s what I did to conquer the pileup and catch up on laundry all at the same time. 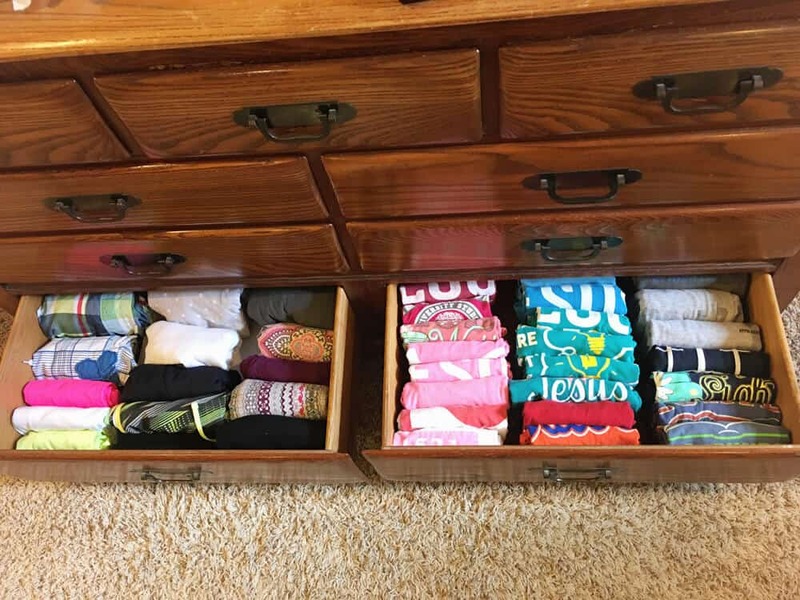 Put 10-15 clean items of clothing (you know the ones from your “to fold” pile?) in the dryer and fluff. While those are fluffing, put a small load into the washing machine. After you’ve started your first small load, pull out the fluffed laundry. While you’re folding that, fluff another small batch. Put the first folded items away and then fold the next round. Continue this process until your load in the wash is complete. Once the load in the washing machine is finished, move it to the dryer. You won’t be doing any more catch up on the clean laundry today. After it’s dry, fold that load of laundry and put it away. If your laundry situation wasn’t dire, you might be caught up by now. If you’re like me, you’ve still got a long way to go. If that’s the case, you can put in another load and keep working on the clean clothes pile. But, if you don’t have time, just call it quits for today and pick it up again the following day. I know this sounds tedious in the beginning (and honestly, it is), but once you’re caught up, you’ll just be doing small loads every day or every other day (depends on the size of your family). This system works better than any I’ve ever tried. While I might not have empty laundry baskets at the end of each day, I rarely get laundry piled up on both ends and everyone’s favorite clothes are clean most of the time.